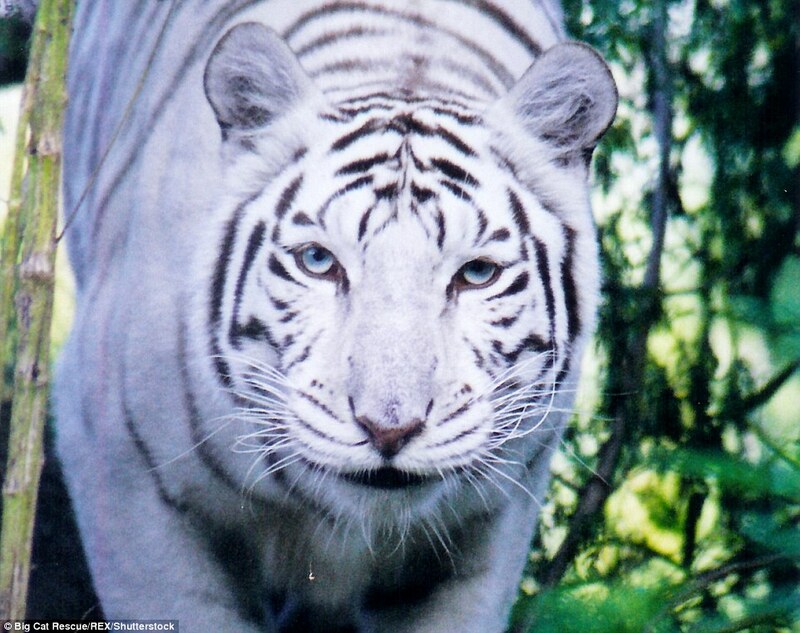 Only when a lion lost his mane could he live happily ever after with his best friend: a white tiger. Cameron the lion and Zabu the tiger were rescued from a rundown roadside zoo, where keepers had tried to breed them to sell liger cubs. 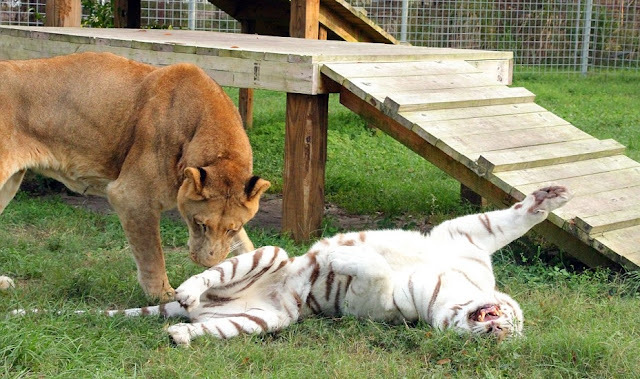 A Florida sanctuary, Big Cat Rescue, took them in - but the pair's hope of continuing life together here had its complications. From the start Big Cat Rescue knew they had to try to keep the friends together, so they immediately built a huge enclosure and gave Cameron a vasectomy. A while later the keepers decided to spay Zabu, after Cameron began turning aggressive to keepers when his tiger friend was in heat. This worked for several years, but Cameron grew more and more possessive of the tiger again and eventually wouldn't let keepers near them to clean or feed. The sanctuary had to neuter him, meaning his mane fell away. 'While it was sad to see Cameron lose his mane, it was completely worth it so that he could continue to live with his best friend Zabu,' said Big Cat Rescue. 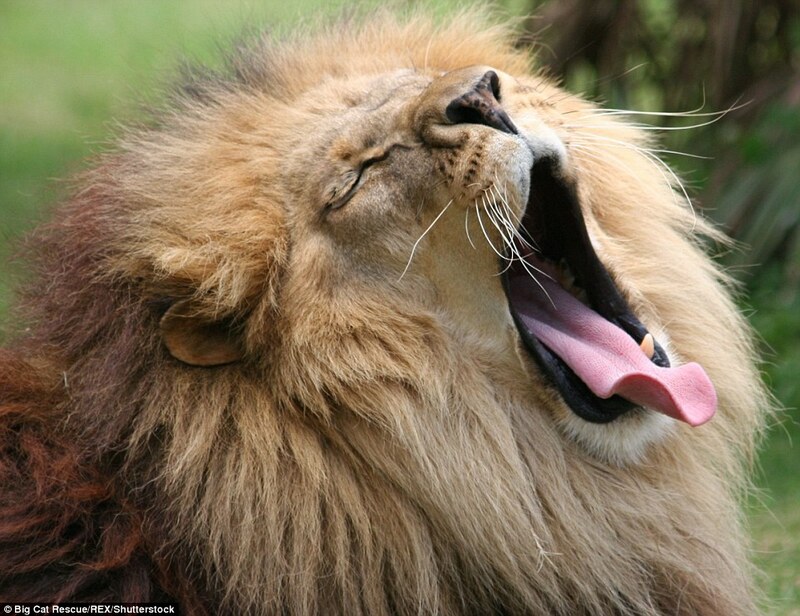 Thankfully it does not seem to bother him, according to the keepers: 'Cameron's mood has mellowed dramatically and he seems much more comfortable in the hot Florida summers without the extra 15 pounds of fur around his neck. Of course, the two friends aren't always in perfect harmony. 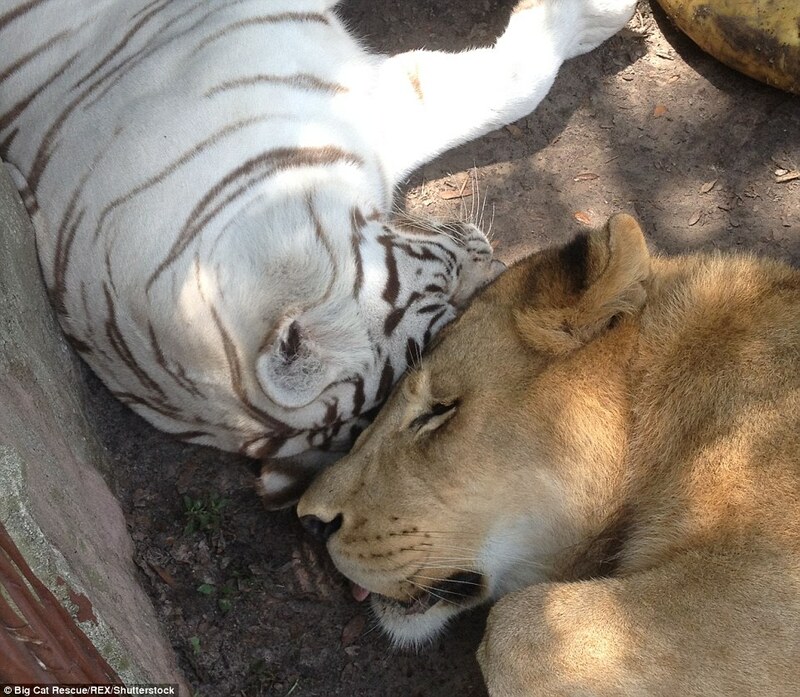 Responses to "Lion and tiger become best buddies after being rescued from cruel roadside zoo"